Keeping up with the Guardian’s stream of textual diarrhea in its Russia coverage is a quixotic task, and one that I do not really have the stamina for (although Alex Mercouris does this remarkably effectively). Still, when it comes to certain issues I’m particularly interested in, such as demography, or China-Russians relations as in this case, I feel pressed to comment. Twenty years ago, Zabaikalsk and Manzhouli, which face each other across the border marked by a few strips of barbed wire, were settlements of about 15,000 people. But while Zabaikalsk remains a dusty border town, Manzhouli now has high-rise buildings, an indoor skiing facility, 3D cinemas and a population approaching half a million people. Russians flock to it for the shopping opportunities. The only problem with this comparison? Zabaykalsk has 12,000 people as of the 2010 Census, whereas Manzhouli has 300,000. Furthermore, Manzhouli had 137,000 people in 1990 to Zabaykalsk’s 9,000 in 1989. Were the Guardian’s fact-checkers hung over from their Christmas celebrations? But the wider and more important point is that this comparison is beyond absurd. It’s about as valid as comparing the 600,000-strong city of Khabarovsk (which is incidentally a success story; it might not have skyscrapers, but it is picturesque, prosperous, and consistently ranked as one of Russia’s most comfortable and business-friendly cities) with the bordering, 20,000-strong “dusty” village of Fuyuan to “prove” Russia’s superiority over China. I do not, of course, because I am not a propagandist like the Guardian, nor do I have an agenda, nor do I hold my readers in such contempt that they would fail to see the absurdity of apples-to-apples comparisons of cities that differ by an order of magnitude. 1. China does not have a “massive” population pressure. Its population is growing at a meager 0.5% a year and aging fast. If you followed the news in the last couple of years, there are now a labour shortage across the country. There are no surplus population to “export”. 2. People go where the money is. It is in the rapidly growing cities in China. The Chinese peasants do not want be pioneers in a foreign land as illegal squatters and get one crop a year with no means of guaranteeing profit or property rights. 3. Scaremongers repeat ad nauseum there are 100 million Chinese across the river from 6 million Russians, but fail to mention the population density of Heilongjiang is 80/km2, similar to that of the Ukraine (the UK at 250ish) and just as fertile with its own black earth. Do you expect Ukrainian hordes to invade Russia? The peasants there would rather seek better paid opportunities in numerous Chinese cities where they speak the same language than dilapidated ghost towns of the Far East. In addition to 1), come to think of it, the Russian Far East is now if anything in better demographic health than North-East China, or Dongbei. According to the latest Census, China’s TFR is at 1.4, and the three major North-East provinces have China’s lowest birth rates outside the major metropolises. 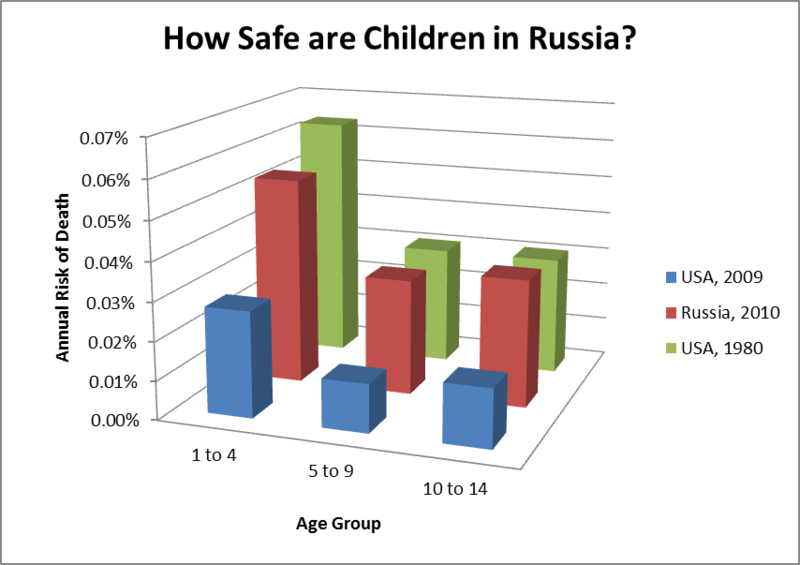 Russia’s average TFR is 1.6 as of 2011 and is higher than average in the Far East specifically. 3 Comments to "The Guardian On China and Russia"
You have an agenda, though yours is positive and worth respecting. Reblogged this on Political Deficit.